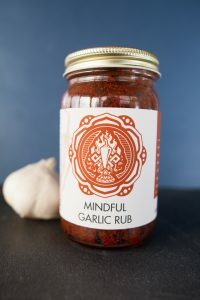 Enjoy our Mindful Garlic Rub, an Extra Hot Tibetan inspired delicacy from our kitchen to your belly. It’s liberation upon taste! We use organic, locally sourced natural ingredients when available. The physical ingredients are: Garlic, Chili Powder, Sea Salt & Olive Oil. 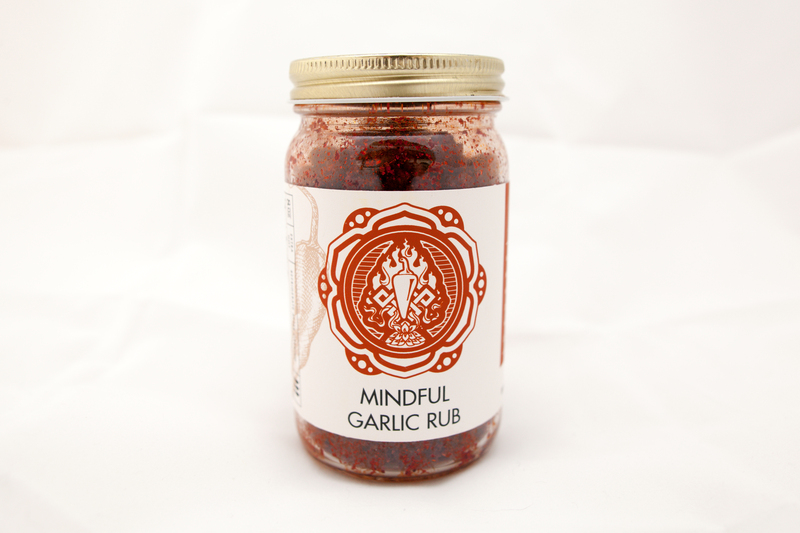 The second gift to come outta the kitchen is our Mindful Garlic Rub. 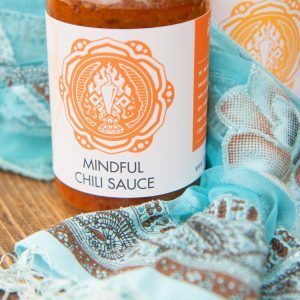 Infused with loving healing mantras and a unique addictive flavor, this versatile all-purpose spicy garlic rub will become a regular guest at all of your meals.